Working in the White House may seem incredibly cushy, but when it comes to food and drink, the presidential home isn't always a garden of roses. 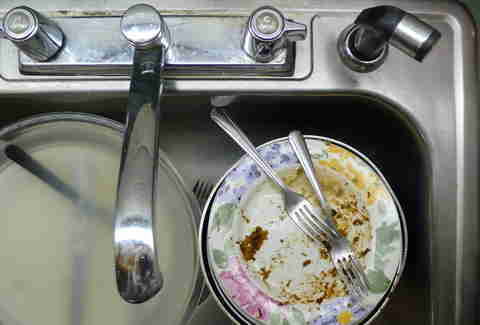 For one, the kitchen used to be full of cockroaches. Also, it turns out that even the leader of the free world doesn't get a free lunch. But there are still a ton of edible perks to running the country, including your own personal homebrew, four to six table wines with every meal, and having an Iron Chef in the kitchen. 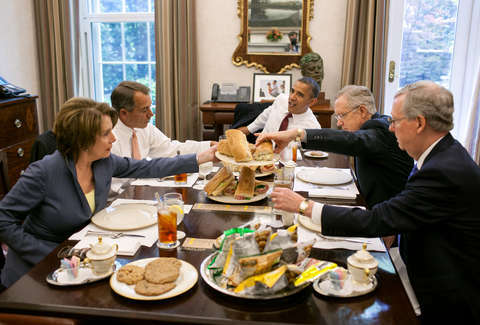 Read on for 15 things you didn't know about eating in the White House. That's not to say they needed to be able to smoke brisket like a third-generation Texas 'cue master, but there was definitely a cabinet's worth of meat cooked directly over a fire. 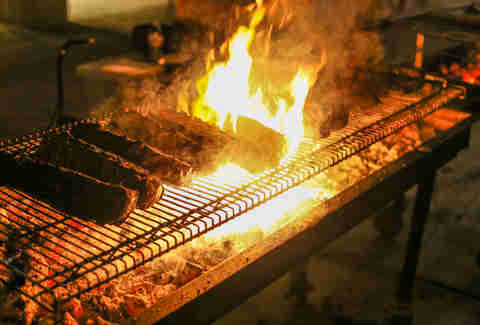 Before Millard Fillmore took office, all cooking in the White House was done over an open flame, so cooks needed to have the ability to manage a fire with the skill of today's finest pitmasters. It probably looked a lot like Joe's Apartment. In 1933, Eleanor Roosevelt's housekeeper toured the kitchen and found enough cockroaches that she demanded a total renovation. 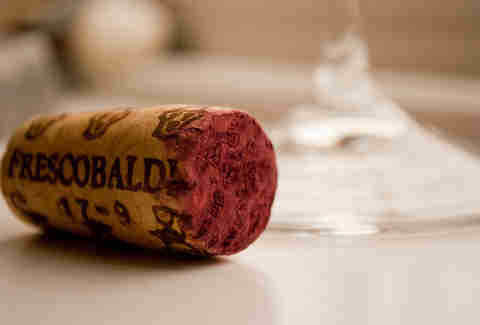 It wasn't uncommon for the Sage of Monticello to down four glasses of wine a night. He ordered it by the barrel and served four to six wines with every meal. 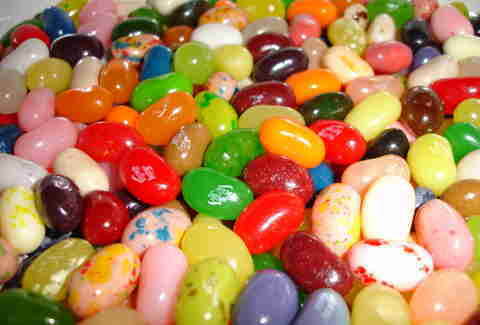 Ronald Reagan was the first and last person in history to use jelly beans to quit smoking, way back before the Goelitz Mini Jelly Beans company changed their name to Jelly Belly. Reagan's inauguration called for a shipment of three and a half tons, featuring the newly invented blueberry flavor necessary to complete the red (cherry), white (coconut), and blue jelly-bean flag. The American taxpayers aren't picking up the bill for the presidential beers. 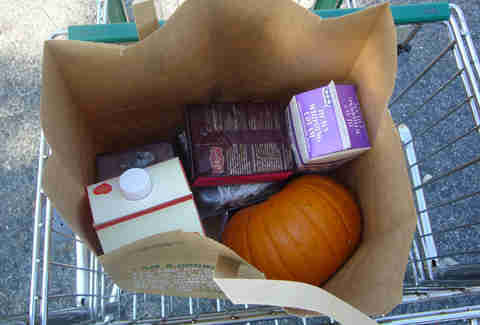 Aside from official state functions, the president pays for his own groceries at the end of every month. 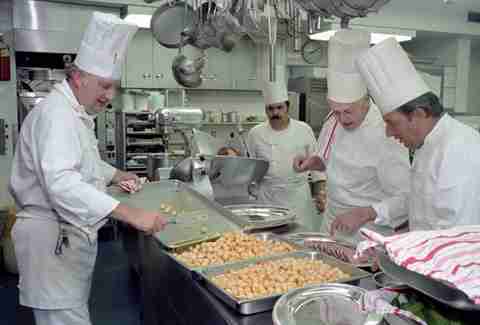 Henry Haller cooked for five presidents from '66 to '87. He coincidentally published a cookbook the very day that he retired. Cristeta Comerford immigrated from the Phillippines in 1985 at the age of 23. Ten years later she was a sous chef in the White House, and in another 10 she was appointed to executive chef by Laura Bush. To prove she's got skills, she appeared on Iron Chef alongside Bobby Flay and put the presidential smackdown on Mario Batali and Emeril. 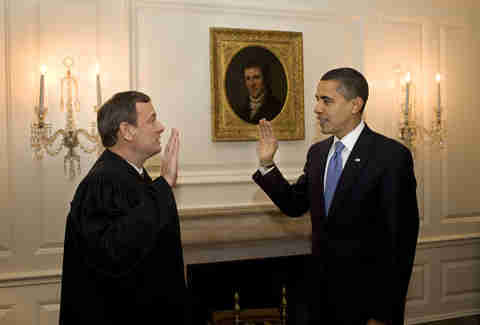 After taking his oaths, Barry O chowed down on a Lincoln-influenced lunch featuring seafood stew for a starter and a main course of pheasant and duck in sour cherry chutney with molasses sweet potatoes. Apparently the stew was an Honest Abe favorite, and the duck harks back to his early days on the Kentucky-Indiana frontier, where they somehow ate chutney. This February, the White House kitchen staff took over the official IG account to show what goes into cooking a State Dinner. Turns out they are great at filters and earned an impressive number of likes. The Obama presidency marked the first time alcohol was brewed in the White House. The Honey Ale is made using honey from bee hives on the South Lawn and is sessionable even when Congress isn't. 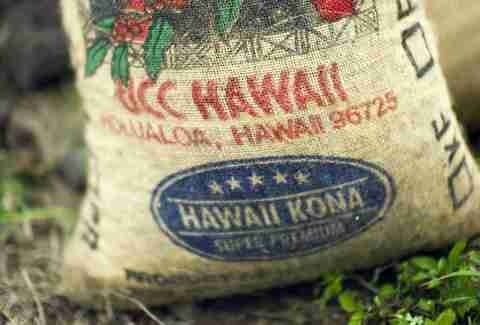 The sleuths at The Boston Globe discovered they're fans of Hawaiian Kona coffee. Jackie Kennedy hired the first White House executive chef in 1961 -- before then, most of the meals were prepared entirely by navy stewards. 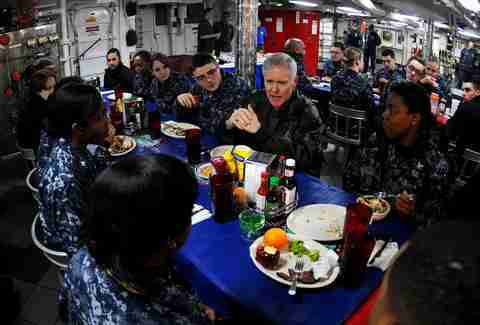 The Navy still supplies their top cooks to work in the White House, albeit in supporting roles. 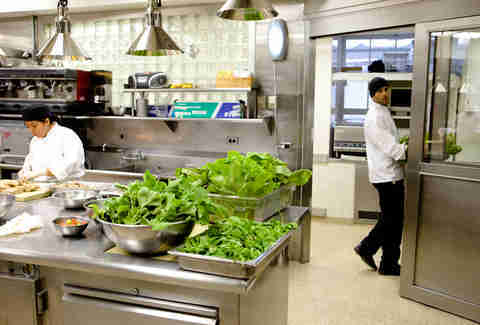 The White House kitchen is able to serve dinner to as many as 140 guests. But if they really want to throw a rager, they can handle hors d'oeuvres for more than 1,000. Ok, not really. But parody site WhiteHouse.Gov1 sure makes it sound appealing. Dan Gentile is a staff writer on Thrillist's National Food and Drink team. He was close to making a reservation to eat at the White House and is disappointed he won't ever get to taste the West Wing Chimichangas. Follow him to waiting patiently for new House of Cards episodes at @Dannosphere.